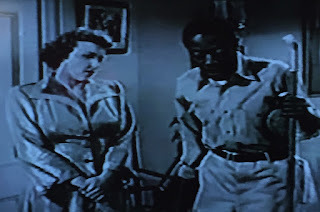 TEXAS TOUGH GUY (1950 RKO Pictures Short) Starring Leon Errol as Leon/Tex Errol, Dorothy Granger as Mrs. Errol, Wendy Waldron as Betty Errol, Robert Neil as Joe, Gwen Caldwell as Millie, Lela Bliss as Marion Smyth, Charles Smith as Hubert Smyth, Charles Coleman as the Butler. Screenplay by Julian Woodward. Directed by Hal Yates. 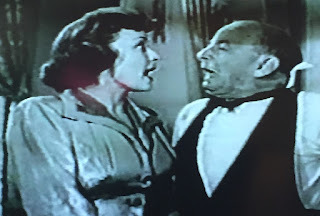 HIGH AND DIZZY (1950 RKO Pictures Short) Starring Leon Errol as Leon, Dorothy Granger as Mrs. Errol, Betty Underwood as Irma, Willie Best as Wesley, Marlo Dwyer as the dog owner. And Introducing "Irmatrude" as itself. Written by Earl Baldwin. Directed by Hal Yates. In 1950, illness forced Leon Errol out of the final two entries in the JOE PALOOKA film series and reduced production of his RKO two-reelers to three that year instead of the usual six. But even half the usual output was enough for the venerable funnyman to provide us with his specialties: dual roles and drunken carousing. 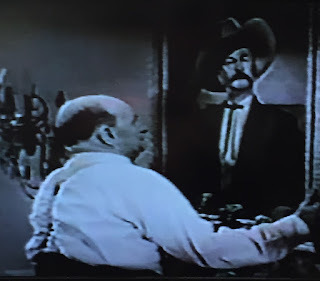 TEXAS TOUGH GUY gives us two Leon Errols for the price of one, with ol' Rubberlegs donning a ten gallon hat and positively epic mustache to play his brother "Tex" Errol. Oil tycoon Tex has a $4 million fortune, but he's still persona non grata to Leon's wife after declining an invitation to daughter Betty Errol's engagement party. The marriage to seemingly well-to-do Hubert Smythe is far more thrilling to Mrs. Errol than to Betty herself--in fact, it's entirely mother Errol's idea. Betty prefers the poor but pure aspiring diner owner Joe and Leon is firmly in his daughter's corner as they attempt to thwart the arranged nuptials with stuffy Hubert. 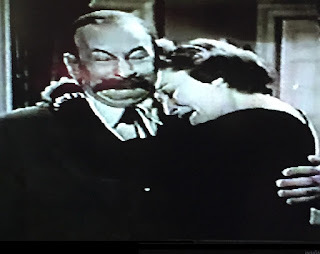 As I said, the Smythes are seemingly well off: Hubert and his mother are far more attracted to Tex's millions than to Betty herself, with that knowledge giving Leon the idea to save the day with a couple of masquerades: Leon will impersonate Tex while waitress Millie will become Tex's newly adopted daughter to flush out the Smythes' ulterior motives. ....unknowingly doing so in front of the disapproving Mrs. Writer Julian Woodward wrote several shorts for Errol and his RKO stablemate Edgar Kennedy, including the latter's swan song, CONTEST CRAZY (1948). He provides funny lines and Yates keeps things consistently lively, and as always Leon shoulders the comedic load. Nearing seventy at this point, the star isn't as nimble with physical humor as he once was, but he's still in peak form verbally. 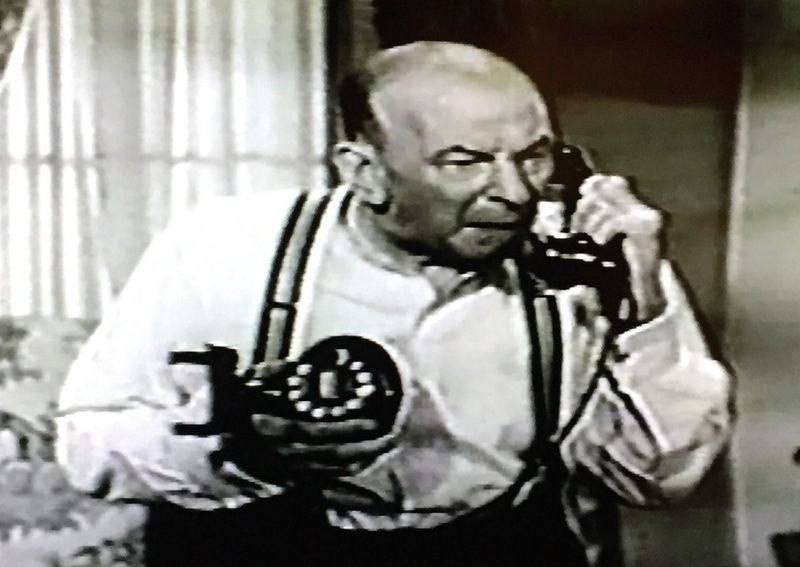 "Tex" Errol is rich, but any similarity to Lord Basil Epping (or Leon himself) stops there: the Texas oilman never touches hard liquor and has only kind words for his sister-in-law. TEXAS TOUGH GUY really gets cooking after Leon steps into his brother's skin and takes full advantage of the opportunities presented to him. 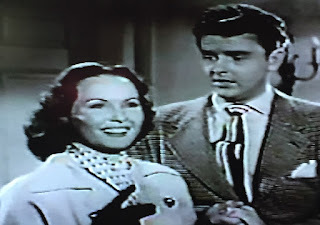 The phony Tex praises "brother Leon" shamelessly, chides the Mrs. for "puttin' on a little beef" and throws insults at the younger Smythe that he knows can't be returned. Leon almost lays it on too thick, though, when he eschews Tex's usual glass of milk for a "Texas Redeye" from the Butler (cactus juice, a slug of gin, and kummel "to kill the taste, son!"). TEXAS TOUGH GUY features several firsts and lasts for the long-running series. 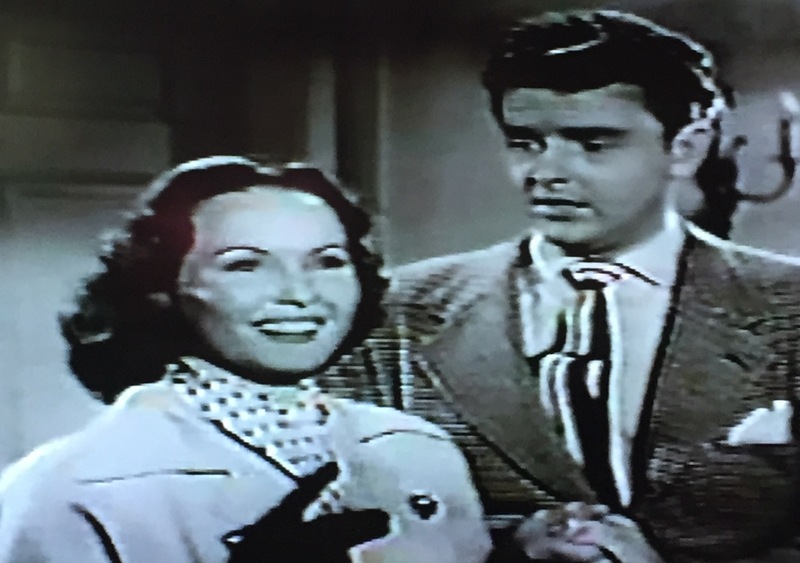 Making her debut was Wendy Waldron, who made three appearances in Errol's two-reelers, playing Leon's daughter in all three. 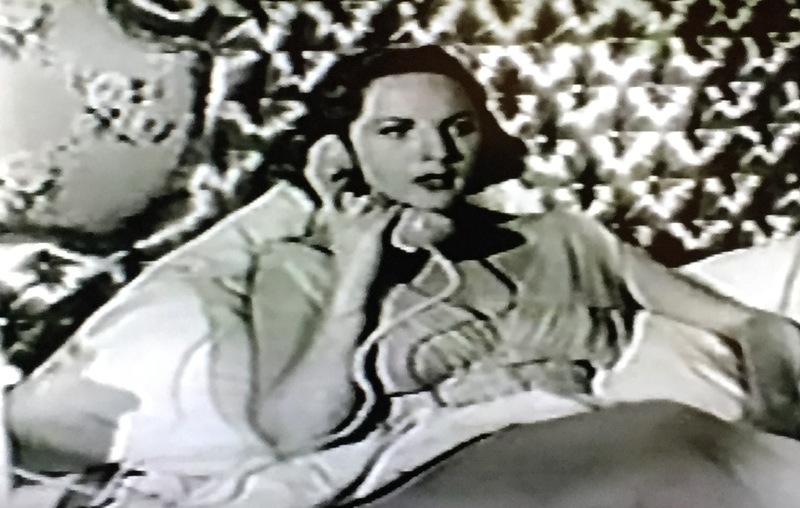 After her acting career ended in 1953, she moved to New York and into modeling full-time. Ubiquitous screen butler Charles Coleman makes his final appearance: he died the following March. 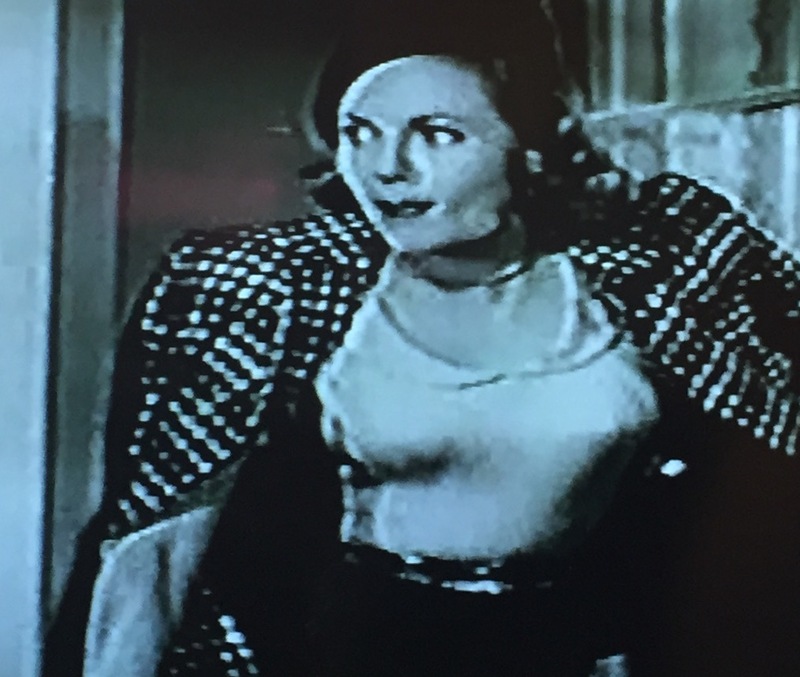 Making her big-screen debut is Gwen Caldwell as Millie. 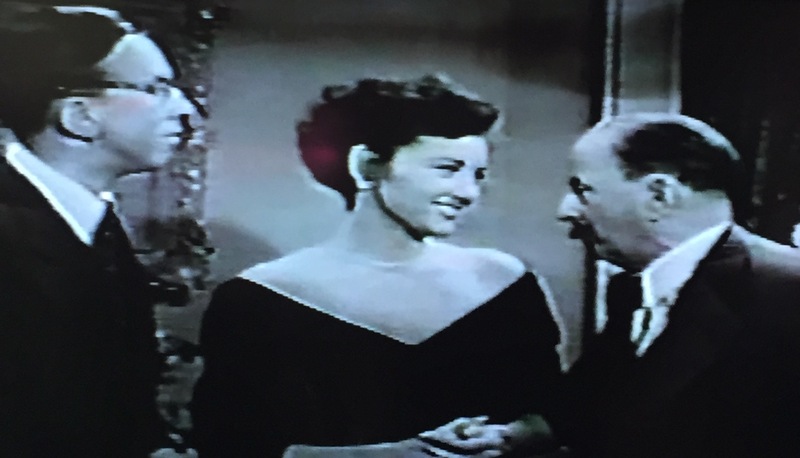 Linked romantically at one time with Mickey Rooney (and later guest starring twice on his sitcom HEY MULLIGAN! ), Caldwell was only occasionally credited during her eight year Hollywood career: like Waldron, she found greater success as a model. 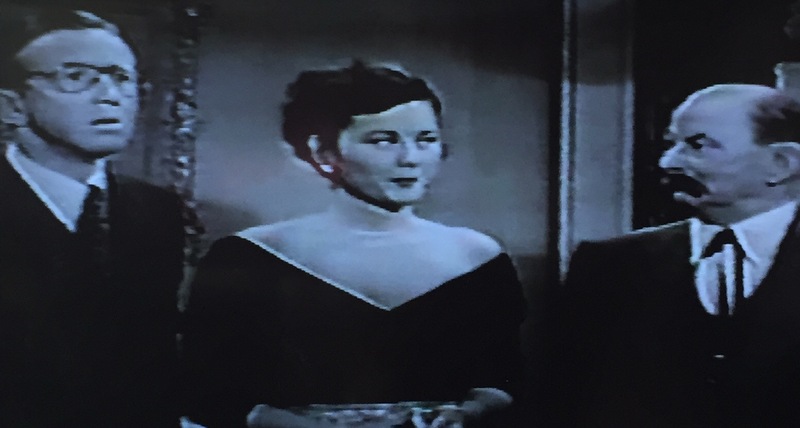 Lela Bliss is her usual haughty self as Mrs. Smythe. Buoyed by energetic performances, TEXAS TOUGH GUY is a highly enjoyable entry in the Leon Errol series, one more very funny farce from a very funny man. HIGH AND DIZZY gives us a singular Errol, and a much more familiar one: asleep on the living room sofa after being out all night. At least, that's what the Mrs. thinks, and she voices her intent to divorce the "wolf" this time. Fortunately, Leon sets her straight about the good deed he was actually performing for her: his car broke down, he had to taxi home after his lodge meeting (it broke up at 11:30 P.M., the Mrs. checked, and didn't have the heart to wake her after arriving so late. 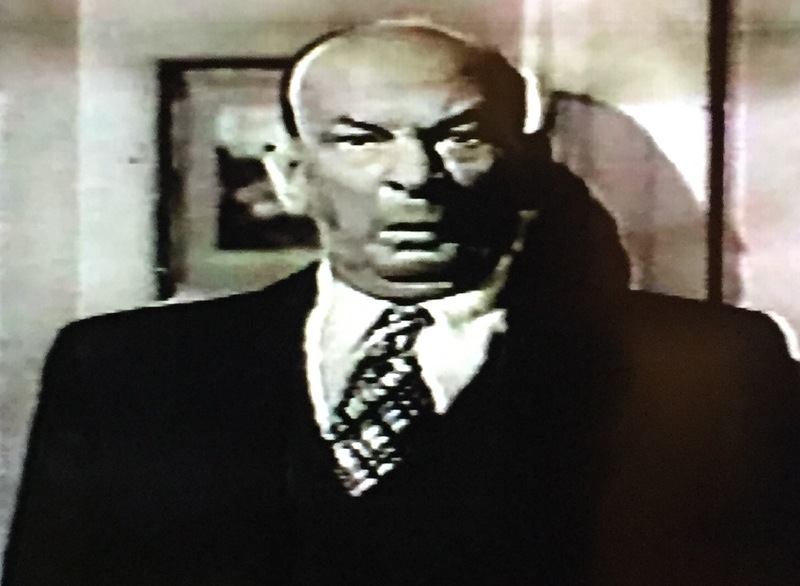 Yes, if you're buying that explanation, this is your first Leon Errol short. 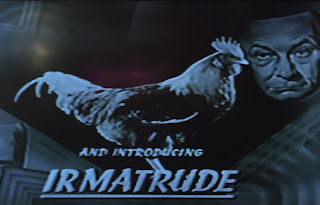 The story soon falls apart: "Irmatrude" the singing chicken is found in the kitchen, smelling like LaFleur # 7 perfume and squawking "Home on the Range". Leon claims to have won the bird in a raffle, but Irma from the Hotsy Totsy Club soon calls him with the truth (Errol gave her, and every other girl at the Club, his number the night before). Errol drunkenly made off with Irmatrude the night before, and Irma demands her stage partner's safe return--the chicken is worth $5,000 and took three years to train. Leon quickly attempts to recover the bird, but Mrs. Errol has already offered jittery window washer Wesley fifty cents to kill it! Irmatrude escapes after unnerving him with a funeral dirge, and a neighbor's dog takes interest in Leon's new feathered friend. 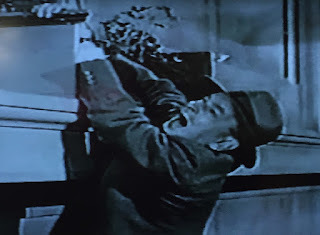 In his effort to avoid buying a $5,000 dinner and having his escapades exposed, Leon Errol gives chase--all the way to the window ledge on the fourteenth floor. Meanwhile, Irma heads for the Errols' home and a face to face with the Mrs. seems imminent. Lofty setting notwithstanding, HIGH AND DIZZY fails to match the comedic heights reached by TEXAS TOUGH GUY. It appears to be more modestly budgeted, with all of the action taking place in Errol's apartment building and only five credited actors to TEXAS TOUGH GUY's multiple sets and nine speaking parts. Not helping such limited resources: action that is alternately labored and frantic before inevitably getting Leon out on that flagpole. 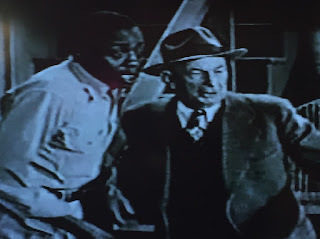 In his penultimate film role, the great Willie Best shares barely five seconds of screen time with Errol--one more missed comedic opportunity. As expected for the era, he's in a stereotypical role, albeit a somewhat less demeaning one than usual: a medical professional's diagnosis explains his constant nervousness. 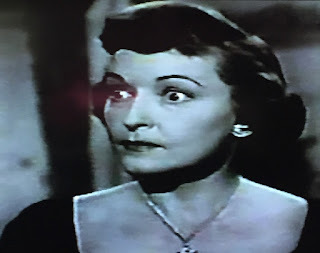 Insensitive to her husband, Mrs. Errol is even moreso to Willie: note her dismissal of his condition and subsequent cheerful request for him to kill the chicken after hearing it. Hard to blame Leon much for galavanting, given what we see of his home life! The attraction receiving special billing "Introducing" it is Irmatrude, another discovery of famed animal trainer David "Curly" Twiford. Irmatrude was actually a male, and signed to a three picture contract with RKO in January 1950 for his harmonizing abilities. HIGH AND DIZZY (originally titled MY FINE FEATHERED FRIEND) is the only film appearance I could find for Irmatrude. After this initial splash, the singing rooster lacked the staying power of Twiford's most famous trainee, Jimmy the Raven. 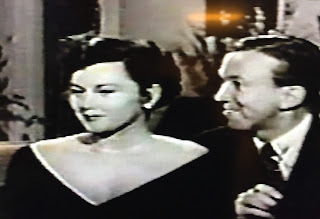 Then-aspiring RKO starlet Betty Underwood (STORM OVER WYOMING) appeared in five shorts between 1948 and 1950; she retired from the screen after marrying aeronautics pioneer Lester Deutsch and is still with us today at age 91. 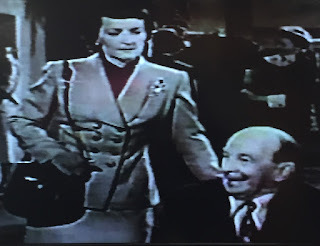 Marlo Dwyer has even less screen time than Best as the dog's owner, and Leon Errol spends a considerable amount of HIGH AND DIZZY interacting with the two performers from the animal kingdom. Leon Errol's shtick brings a smile whether he's inebriated or not, but the gimmicky HIGH AND DIZZY scurries to its foregone conclusion without realizing its true potential. It succeeds in showcasing its budding star bird, but is an average entry at best in the canon of its human star. Perhaps seeing a little of Leon's lasciviousness at the Hotsy Totsy Club or giving him more screen time with Best (wouldn't it make sense for the window washer to be involved in the ledge antics?) would have helped with the laugh quotient. I'm a big fan of Leon Errol...quite a few of his shorts are not available (either internet or DVD release). Why the hell doesn't somebody just release all of his two reelers? He was a bloody genius. Hi, Will. Thanks for reading! I agree, the Errol shorts are very underrated. The Jitters in particular has maybe the funniest three minutes of any short subject I've ever seen. 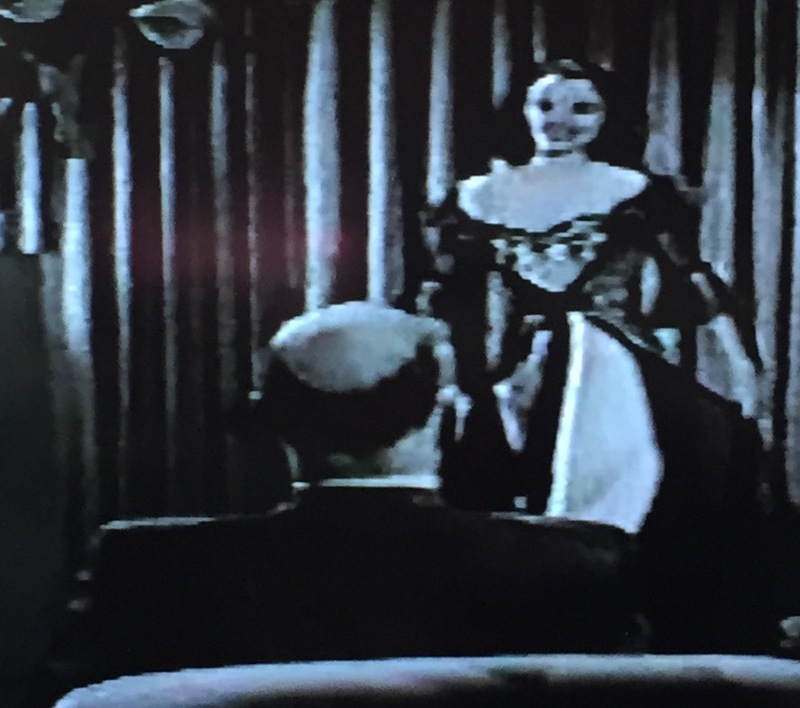 I have another Errol review on the way and hope to get to all 97 of his two reelers eventually.